So even if you have a PayPal Ghana account already. Or you're looking to create one for yourself, you’ll need a Payoneer Ghana account as well. Why You Need a Payoneer Ghana Account? This is because Payoneer will do whatever PayPal will not do for you as a Ghanaian. You’ll need this Payoneer account if you have partners abroad and/or you do business with anybody especially in the US. Payoneer is a New York based fund transfer service. With over 13years of experience you’re assured that its legitimacy. And how easily it is to do business with a US citizen or anyone from the US. In fact, any business abroad. They only need to create an account and they can pay you just like PayPal does. 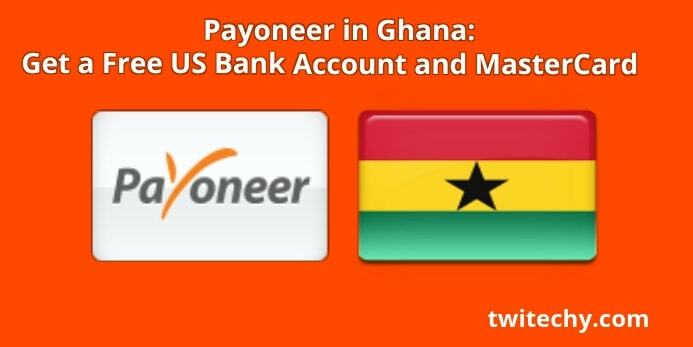 Significantly, Payoneer accepts everything from Ghana. You can also link a local Ghanaian bank account to your Payoneer Ghana account. Here is a link to create a Payoneer Ghana account now or click on the button below. Payoneer is a vibrant, very viable and a robust PayPal alternative that I want you to start using now. Without telling you let me show you how to go about your Payoneer account login. Let me login into my Payoneer account. It's better for you to see and appreciate how it looks like and work. How To Open a Payoneer Account in Ghana. So this is how the Payoneer account login looks like. As usual, just like any user account - it requires your email address and password. You can only log into your account when you've signed up. Let's go to the sign up process. With Payoneer, you can sign up as an individual or a company. Your contact details and security details. Just to verify your legitimacy to transact business online. I wont dive into that. I know you'll be fine answering these questions. Payoneer will request for your ID as a native of your country. Scan your ID(voters, drivers license, passport etc.) and forward it to them. What’s the purpose of the account? Your purpose for this account will determine whether it is right for you or not. And you should tell them exactly that. You are probably a freelancer. Maybe an online marketer. Or a designer. Let them know your dealing and they'll allow you to finalize your account. Should I create a demo account to take you through the process? Let me know in the comments area. You just have to answer the questions and give them the details they want. Don't lie about any details you provide as a Ghanaian. Give them whatever they want in order to gain access to this account. If all requirements are met, you’ll come to a dashboard like this. What is the Payoneer Prepaid MasterCard®? A Payoneer Prepaid MasterCard is a physical card which you can associate with any currency balance in your Payoneer account. This card can be used at ATM's, in stores, or online anywhere MasterCard is accepted. You will be sent a Payoneer MasterCard if you request for one. If approved, it will be sent through post. So be sure to give them the correct post office box address. The Payoneer MasterCard will be sent to you within a week or two. Latest by a months time the card will be in. You can use this Payoneer MasterCard on most ATM's around the world. And most importantly, you’ll have access to a US bank account that will be of service to you in several ways. Unfortunately this was the bank account lots of people used on their PayPal account at first but paper is no more accepting it. In fact, many people abused and used this service in creating a lot of fake Payoneer accounts. With this virtual US bank account details, they linked to fake PayPal accounts to receive payments. So PayPal no longer accepts the bank account details. However, this bank account can be used for any other online business that request you to have a US bank account even as a non us citizen. So let me show you how this bank account looks like. You go to the global payment service if anybody is paying you from abroad. They can pay into this virtual US bank account. If there is a request for your bank account, you can put forward this details to the payee. You can always receive, pay and then withdraw from this account. More importantly, it is possible to link to a local bank account here in Ghana. 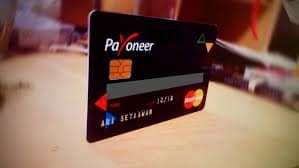 Payoneer is a very viable alternative to PayPal in Ghana. Tell me about anything you find difficulty with this account. Take a look at these how-to videos for a better perspective. Tell us more about it in the comment area. Thank you Samuel for your question. You’ll need a Payoneer MasterCard for withdrawals if that is what you’re looking at doing.